Bella Maya Lacy Leggings are a hot new trend! 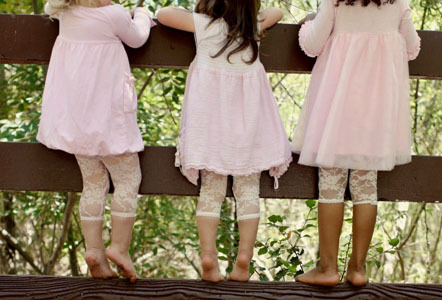 Go cute and sassy with the lacy leggings paired with your baby or toddler's favorite dresses and skirts. These adorable calf length Leggings are a sure way to turn heads everywhere making your little princess a regular little fashionista. Available in size 6-12 months, 12-18 months, and 18-24 months. Care Instructions: Hand wash cool water with mild soap, lay flat to dry.